Nebraska public school students from low-income families would receive free breakfasts and lunches under a bill heard Jan. 28 by the Education Committee. Introduced by Fremont Sen. Lynne Walz, LB251 would require public schools participating in the federal School Breakfast Program or the National School Lunch Program to provide meals at no cost to students eligible for reduced-price breakfasts or lunches. The state Department of Education would reimburse school districts for the amount that students would have been charged. Schools may charge up to 30 cents for a reduced-price breakfast and up to 40 cents for a reduced-price lunch. The department estimates that it would cost approximately $1.9 million in fiscal year 2019-20 to reimburse schools for the meals and a further $1.9 million in FY2020-21. As a former teacher, Walz said, she has seen how important it is for children to be well-nourished if they are to be successful in the classroom. 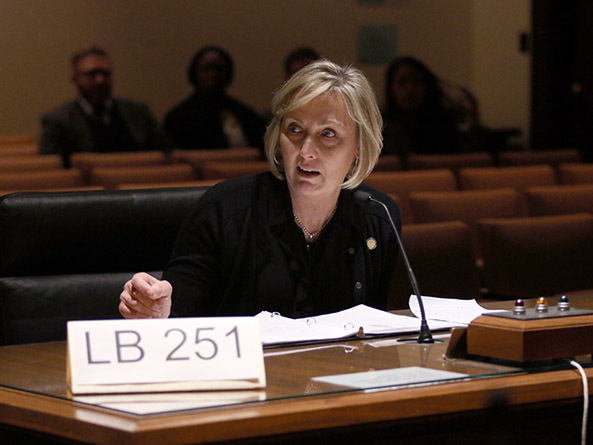 She said LB251 would cover the copay for reduced-price lunches for students from families with an income of 130 percent to 185 percent of the federal poverty level, or between $26,000 and $37,000 for a family of three. Julia Tse, policy director for Voices for Children in Nebraska, testified in support of the bill. 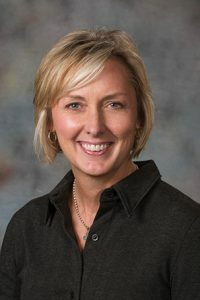 The number of students who qualify for free and reduced-price meals has increased from 30 percent to 40 percent over the last 10 years, she said, and approximately 29,000 Nebraska students qualified for reduced-price meals for the 2018-19 school year. “Ensuring that no needy student will have to worry about missing lunch is an investment that produces many long-term benefits in the form of improved academic performance, behavior and overall student wellness,” Tse said. Eric Savaiano, a program associate in the economic justice program at Nebraska Appleseed, also testified in support of the bill. In a recent Nebraska Appleseed survey of Nebraska school districts, he said, 61 percent of respondents reported carrying meal debt of approximately $12,000 on average. The state reimbursement provided under LB251 would help districts pay off part of that debt, Savaiano said.